Come be part of our upcoming events! The Peace Development Fund is happy to announce our newest fiscally sponsored group Treaty Awareness Campaign (TAC). Most of the Peace Development Fund community agree that nuclear weapons are immoral, indiscriminate and inhumane. Their production, testing and use have contaminated lands, killed millions of innocent people and drained money that is needed to address other social and environmental problems. The big question is, how do we shift the general public's conversation and convince them it is the right time to eliminate nuclear weapons? This is a question TAC is working to solve. TAC's long-term vision is educate people about risks and the cost of nuclear weapons as well as the new tools now available to safely achieve the total elimination of nuclear weapons. 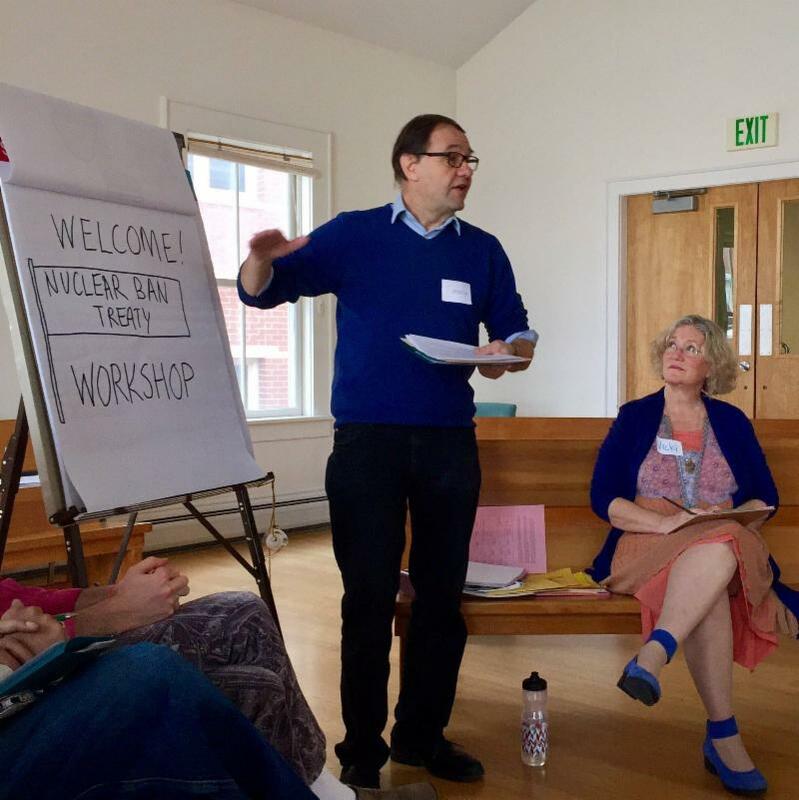 To turn this vision into a reality, TAC runs workshops and produces educational materials, videos and other resources aimed at the individuals, schools, colleges, faith communities and businesses. TAC is approaching the subject of nuclear weapons in a way that re-frames nuclear weapons as a global humanitarian issue, a social issue and an environmental justice issue. Peace Development Fund, donors, staff, volunteers and participants of the Prison Birth Project (PBP) will always remember how important it has been to incarcerated women. PBP fiercely advocated for the health and well-being of people at the intersection of the criminal justice system and parenthood. 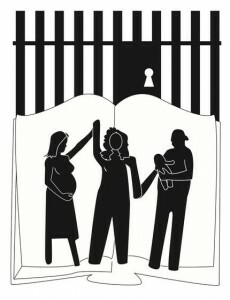 Over the course of the last decade, PBP changed the way prisons approach incarcerated women who are pregnant. By providing support, education and advocacy, PBP was able to accomplish so many things, including overturning a law that shackled women prisoners in labor. To find out more about the legacy of PBP click here . People always say children are our future. Each generation will grow up to become the leaders of tomorrow and shape our world. How do we ensure that we help youth become the best versions of themselves? Changing Worlds , a PDF grantee, has found a way. After seeing Chicago communities torn apart by violence and meeting young people affected by trauma, Changing Worlds created a project to begin the healing process. Their innovative school-based peace project integrates arts with academics to promote long-term academic and social success. The project helps students develop self-identity and promote civic engagement practices to support peacemaking. Students are encouraged to reflect on the concepts of peace and empathy, and then channel those reflections into their interactions with others in the community. For Oral History Day, students interviewed community members. They gained understanding about the people interviewed and their personal commitment to their neighborhood’s overall well-being. 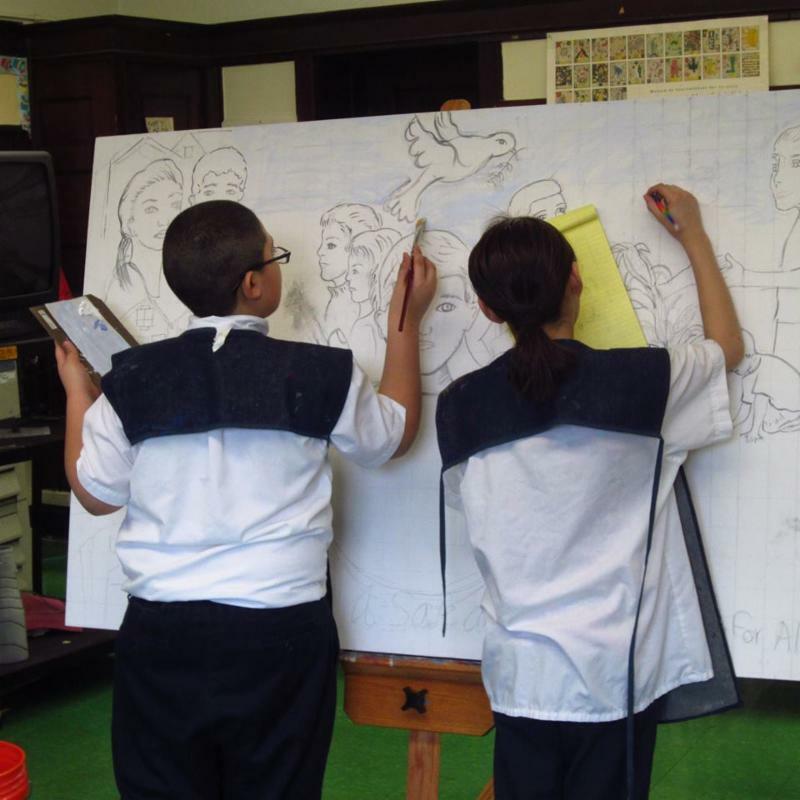 Students also connected the various cultures and backgrounds they all share through the creation of a mural. Other students that were part of the project brainstormed three topics; what peace looks like, what they would like to express to Mr. Trump, and things they would like to see happen in their neighborhood. Students used these topics as the subjects of spoken world poems that were performed at Community Day. This project was so successful that it has been expanded to three new schools. Last year, Changing Worlds was able to impact 1,598 students through direct programming. While the numbers are impressive, what is more impressive is the impact. As one student said, "One thing I learned is to always use your voice because your voice is the weapon to fight injustice...your voice matters." We will be accepting Community Organizing Grant applications between November 30 and December 28.